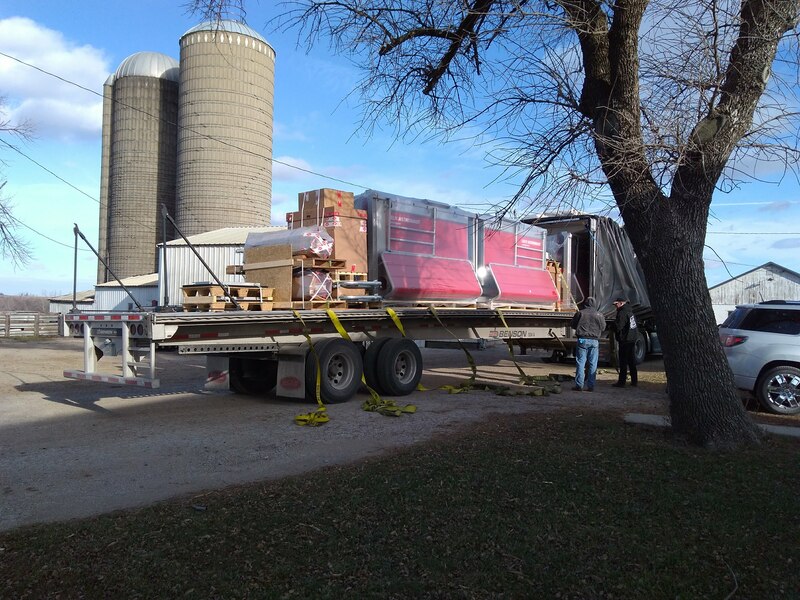 It wasn’t wrapped under a tree, but a large present for Caleb Stam and Nathaniel Stam arrived on a semi last week as they received two brand new Lely milking robots. The brothers, who farm in Oskaloosa, Iowa, are looking forward to transitioning their dairy operation to robotic milking next year, after construction of their new barn is complete. Caleb says he’s most excited for the dairy herd management software, T4C, and using the information provided each time a cow gets milked. This data will help them make the best decisions for their cows and operation. Maybe the milking robots should be considered a gift for the cows. Once installed, the herd of Holsteins will have 24/7 access to the milking robot, allowing them to follow their natural rhythm. Or perhaps the Astronaut A4s are gifts to their families. Both are married with small children. In the near future, they won’t have to plan their schedules around milkings or struggle to find employees for the 5:00 am shift, providing a better balance between time in the barn managing the operation and time with their families. No matter who claims the robots as their gift, the addition of milking automation and construction of a new freestall barn is an investment in the future of Stam Dairy. Stam Dairy started with their dad, Calvin, in the late 1970s with a small herd, which has grown to 120 today. Their dad was actually the first to investigate milking automation 20 years ago when it was brand new technology. Though Caleb and Nathaniel’s dad passed away in early December before he could see that technology in his family operation, they both think he would be excited for what their future now hold with robotic milking. 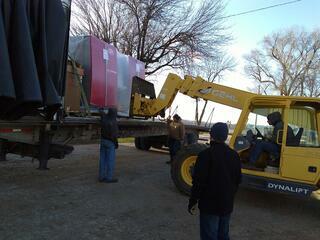 The Stams anticipate moving into their new barn next year, depending on what kind of weather Iowa’s winter brings. We will check back with the families after start-up to see how everyone is adjusting. Lely is happy to be an integral part of the future of their operation and we will work with them to make sure robots are a success.